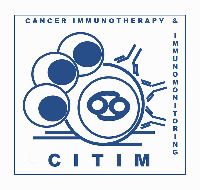 Anti-cytotoxic T-lymphocyte antigen-4 (CTLA-4) antibodies, such as ipilimumab, have generated measurable immune responses to Melan-A, NY-ESO-1, and gp100 antigens in metastatic melanoma. 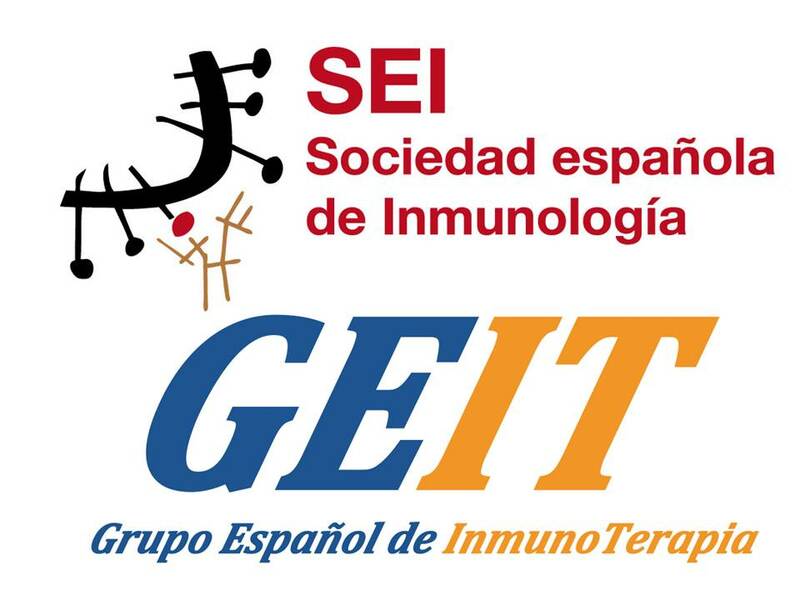 Vaccination against such targets has potential for immunogenicity and may produce an effector-memory T-cell response. 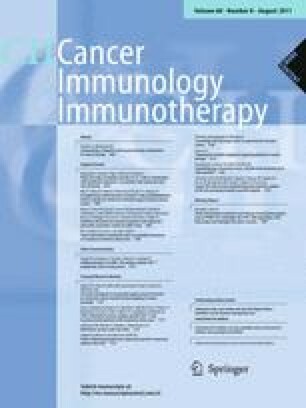 To determine the effect of CTLA-4 blockade on antigen-specific responses following vaccination, in-depth immune monitoring was performed on three ipilimumab-treated patients prevaccinated with gp100 DNA (IMF-24), gp100209–217 and tyrosinase peptides plus GM-CSF DNA (IMF-32), or NY-ESO-1 protein plus imiquimod (IMF-11); peripheral blood mononuclear cells were analyzed by tetramer and/or intracellular cytokine staining following 10-day culture with HLA-A*0201-restricted gp100209–217 (ITDQVPFSV), tyrosinase369–377 (YMDGTMSQV), or 20-mer NY-ESO-1 overlapping peptides, respectively. Tumors from IMF-32 were analyzed by immunohistochemistry to help elucidate mechanism(s) underlying tumor escape. Following vaccination, patients generated weak to no CD4+ or CD8+ T-cell response specific to the vaccine antigen but demonstrated increases in effector-memory (CCR7loCD45RAlo) tetramer+CD8+ T cells. After ipilimumab induction, patients experienced a robust, although sometimes transient, antigen-specific response for gp100 (IMF-32 and IMF-24) or NY-ESO-1 (IMF-11) and produced polyfunctional intracellular cytokines. Primary and metastatic tumors expressed tyrosinase but not gp100 or class I/II MHC molecules. Vaccination induced a measurable antigen-specific T-cell response that increased following CTLA-4 blockade, potentially “boosting” the vaccine-primed response. Tumor escape may be related to antigen loss or lack of MHC expression necessary for immune activity. These results in a limited number of patients support the need for further research into combining vaccination with ipilimumab and provide insight into mechanisms underlying tumor escape. This paper is a Focussed Research Review based on a presentation given at the Tenth International Conference on Progress in Vaccination against Cancer (PIVAC 10), held in St. Catharine’s College, Cambridge, UK, September 27th–30th, 2010. It is part of a CII series of Focussed Research Reviews and meeting report. The online version of this article (doi: 10.1007/s00262-011-1011-9) contains supplementary material, which is available to authorized users. We thank Dr. Immanuel Luescher from Tetramer Core, Lausanne Branch, Ludwig Institute of Cancer Research, for providing the tetramers; Cora Mariano from the MSKCC Departments of Pathology for the collection of tumor tissues; and Hematology for the lymphocyte counts. This work was supported by Swim Across America, the Experimental Therapeutics Center of MSKCC and Ludwig Foundation. JDW was supported by a Damon Runyon-Lilly Clinical Investigator Award. 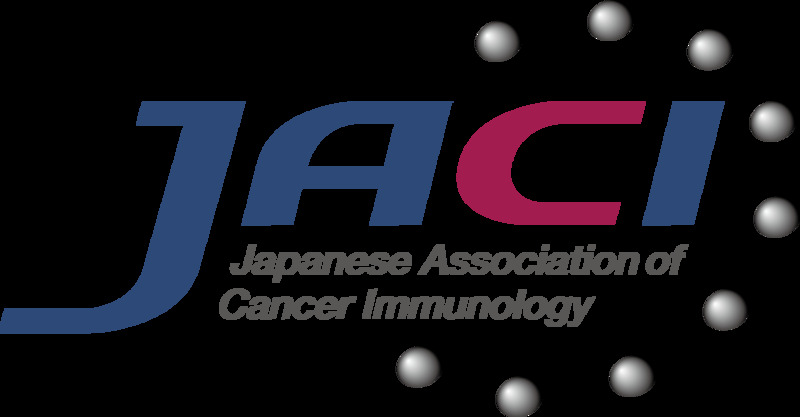 JY was supported by MSKCC Pilot Grant of Grant number P50AT002779 from the National Center for complementary and Alternative Medicine (NCCAM) and the Office of Dietary Supplements (ODS). Editorial and writing assistance was provided by StemScientific with funding from Bristol-Myers Squibb Company.